A prized pet and watchdog for the Tibetan monasteries, the Tibetan Spaniel is lovingly referred to as a "little lion dog." 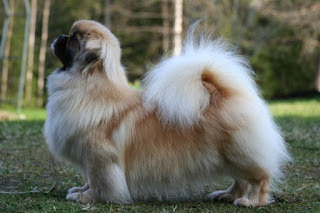 Thought of highly, the breed was gifted to royals throughout Asia. 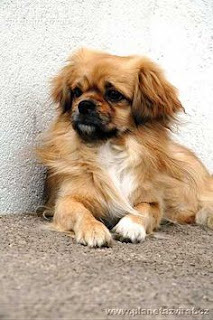 Given to other countries, the popularity of the Tibetan Spaniel grew. A devoted human companion, the breed is immediately loved by all families that own it. Although Tibetan Spaniels can learn quickly, they may be stubborn when it comes to obeying commands. Tibetan Spaniels shed small amounts year-round and need weekly brushing to get rid of dead hair. Although Tibetan Spaniels are affectionate toward and protective of children, they're better suited for homes with older children because they can be injured during rough play. Tibetan Spaniels generally get along well with other dogs and pets. They do well in homes with multiple dogs. Tibetan Spaniels thrive when they're with their families. They're not recommended for homes where they'll receive little attention or will be left alone for long periods. Barking can become a favorite pastime of Tibetan Spaniels if they're bored. They'll also bark when people come to the door or when they hear something suspicious. The upside is, they make great watchdogs. Tibetan Spaniels only need moderate exercise and are quite happy with a daily walk or free play in a fenced yard. Tibetan Spaniels must be walked on leash to prevent them from running off to explore. Yards should be fenced. 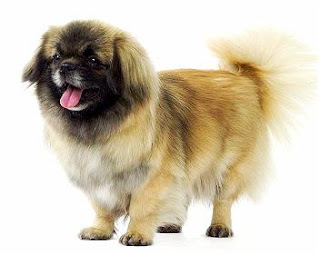 The Tibetan Spaniel is fairly rare, so if you're buying a puppy, it may take a while to find a good breeder, and once you do, there may be a wait for puppies to be available. 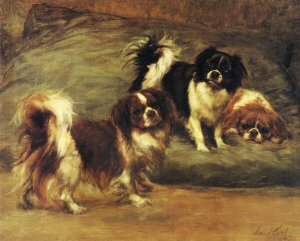 Trusting and affectionate toward family members, Tibetan Spaniels may be aloof toward strangers, although never aggressive. True to their heritage, they make excellent watchdogs and will bark to alert you of anything that seems unusual. Tibbies seem to be especially responsive to their people's moods and feelings. As loving as they are, however, they're independent thinkers and won't always obey, especially if they think they know better or don't see any good reason to do as you ask. As with all dogs, Tibetan Spaniels need early socialization — exposure to many different people, sights, sounds, and experiences — when they're young. 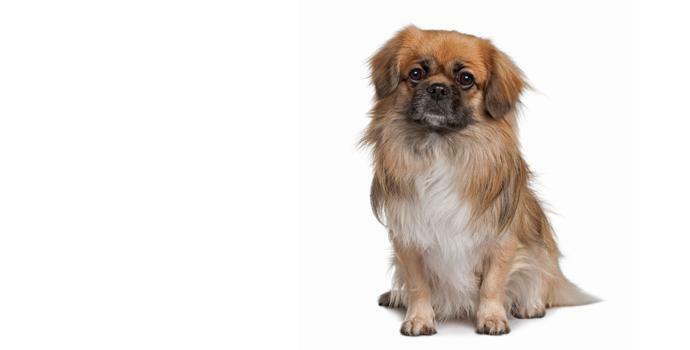 Socialization helps ensure that your Tibetan Spaniel puppy grows up to be a well-rounded dog. The Tibetan Spaniel is a generally healthy breed. 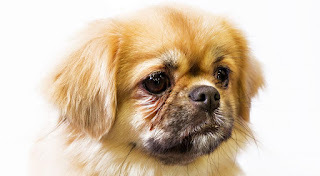 However, this dog may suffer from the following conditions: progressive retinal atrophy, cherry eye, patellar luxation, allergies, and portosystemic shunt (a liver condition). The Tibetan Spaniel breed is meant for apartment life and should not be allowed to live outdoors. The daily exercise needs of the Tibbie are minimal and can be met by indoor and outdoor games or a short on-leash walk. Its coat requires combing and brushing twice weekly. 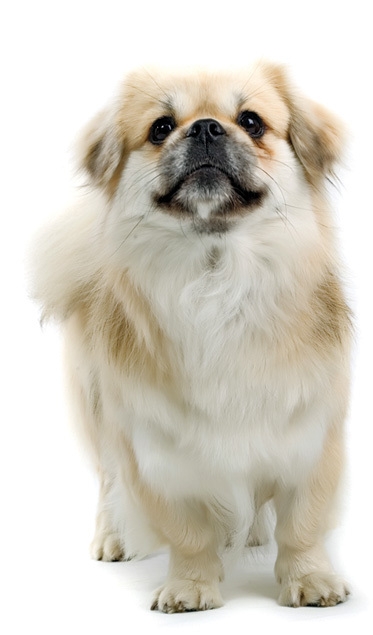 Because of his stubborn streak, the Tibetan Spaniel can be difficult to train. For the best results, start early and establish yourself as the Alfa of the household. If your dog gets the upper hand, this will be difficult to train them out of. For the best results, use positive training reinforcements, such as praise and treats. And keep training sessions short and interesting to hold your dog’s attention. You’ll be happy to learn that Tibetan Spaniels are pretty easy to house train and it is recommended that you crate train your dog. Tibetan Spaniels are known to be vocal, alerting you to a stranger’s presence. With patience and consistency, it is possible to train them to stop barking once they’ve alerted you to the possible threat. Because of his size, Tibetan Spaniels can live pretty much anywhere. They do as well in an apartment as they would in a large estate. They make wonderful companions for seniors as they don’t need a lot of daily exercise. A daily walk and some play time will cover all his exercise needs. If you have a back yard, do not leave your Tibbie unattended. This dog needs to be with you and will be happiest when playing with you. Tibetan Spaniels shed lightly year round, and brushing two to three times per week will keep loose hair under control and keep the coat free from tangles or mats. They typically require a bath every six to eight weeks. Check the Tibetan Spaniel's ears on a weekly basis for signs of infection, irritation, or wax build up. Cleanse regularly with a veterinarian-approved cleanser and cotton ball. Brush the teeth at least once per week to prevent tartar buildup and fight gum disease. Additionally, nails should be trimmed once per month if the dog does not wear the toenails down naturally. Tibetan Spaniels are affectionate and protective of children, but because they're small, they can be injured easily by rough handling, so they're best suited to homes with children who are at least 6 years old and know to be gentle and not to tease. 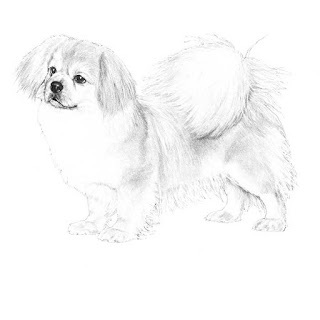 As with any dog, always teach children how to approach and touch your Tibetan Spaniel, and supervise any interactions between dogs and young children to prevent any biting or ear pulling from either party. Tibetan Spaniels usually get along well with other dogs and cats. Most enjoy having another dog as a companion. A human lover to the bone, the Tibetan Spaniel goes well with young children and other pets. A great family dog, the breed also makes for an excellent watchdog. Suited for apartment life, he is a true-blue inside dog. Enjoying a daily walk and time out in the yard, he is a bit difficult to train. 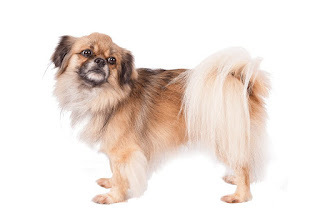 Requiring moderate grooming, the Tibetan Spaniel is a moderate shedder, but does lose a large amount once a year. In need of a master with good leadership skills, the breed is likely to show behavioral problems if allowed to develop small dog syndrome. The Tibetan Spaniel is likely to wake up with a smile. Happily wagging his tail at his owner, he will gladly follow his master wherever she may go. Running outside for a romp in the yard, he'll bark at any possible intruders. A lover, he'll play with and lick the children at any available opportunity. Kindhearted, he'll be at your feet until the end of the day, where he'll cuddle close for bedtime.